The oil extracted from different varieties of grapes is known as grape seed oil. 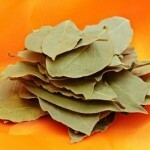 It is used as a vegetable oil and an essential oil, for cooking and beautification purposes. It is a good choice for a cooking oil over olive and canola oil for having high smoke point and neutral taste. 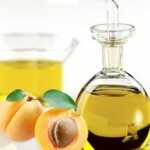 This light oil is laced with several health benefits and has many other usages in various fields. Vitis vinifera is the scientific name of grapes, from the seeds of which this oil is obtained. Color varies, but usually it ranges between yellowish and greenish tinges. It has a nutty taste which is light and blends perfectly with the dishes you make. A very mild aroma brings out the real flavor of the food item. Grapes have originated from Asia, around the Caspian Sea and they were introduced to European nations and North America. Grape production has resulted in massive grade seed oil production from a host of distributors. 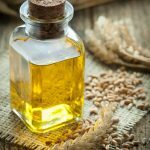 It is composed majorly of Unsaturated Fatty Acids – 90%, out of which Linoleic Acid forms 70%. 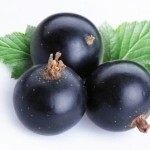 It has ample proportions of flavonoids and polyphenols which make it beneficial to the health. Density per 100 g is 3,700 kJ (880 kcal). It has a very low viscosity; hence it is very light. This fruit/vegetable oil has a high smoke point of 216 °C (421 °F). 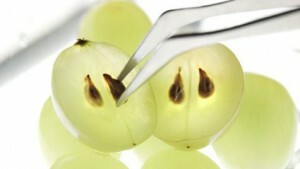 Oil from grape seeds can be extracted in many ways. Commercially it is extracted with the help of mechanical press and for deriving oil in lesser amounts the mortar and pestle extraction method can be applied. 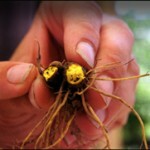 Both apply cold press methods for extraction. The seeds are crushed in the expeller press which disintegrates the oil from the seed extracts. This extract left behind can be made into wine or juice. After the oil is extracted in totality it can be made to settle in a container by setting it aside for 24 hours. Among other plant based oils, this fruit oil has emerged as an important cooking oil in the 20thcentury after technological advancement. However grape seed extracts along with different parts of the plant was of great medicinal importance in Europe since ancient times. 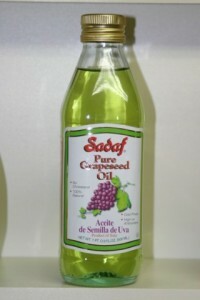 Nutritional value of 1 tsp grade seed oil is represented below. Plenty of health benefits can be derived from the grape seed oil as it has healthy fat and essential vitamins compared to other cooking mediums. 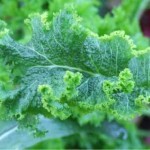 It is a natural source of Omega 6 fatty acids that the body doesn’t produce. It is beneficial for breast cancers, rheumatoid arthritis, ADHD, high BP, multiple sclerosis, premenstrual syndrome and a series of other health conditions. This oil has huge amounts of antioxidant vitamins like C, E and beta carotene which forms RBC, damage free radicals and arrest aging symptoms. 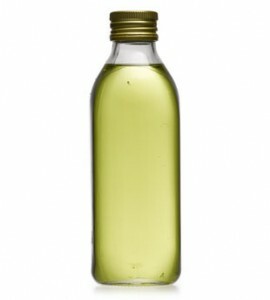 Health of eyesight can be improved by taking antioxidants in the form of this cooking oil. Your chances of acquiring heart diseases are reduced by taking this oil as it has polyunsaturated fats which reduce bad cholesterol in blood. Cooking with this oil can also decrease the risk of getting diabetes. 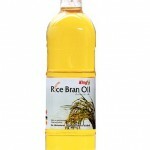 Buying this oil devoid of BHT or TBHQ, preservatives of different kind is ideal for those conscious about their health. Cooking with this oil has several benefits because of comparatively high smoke point and neutral flavor. Other usages have also been listed here. 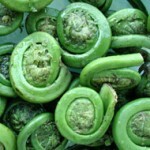 It can be used for baking and deep frying instead of olive, sesame and corn oil. 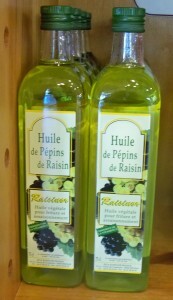 Being light and delightfully tasteful it is used for sautéing and salad dressings. To keep raisins’ flavor intact, it is sometimes sprinkled on it. 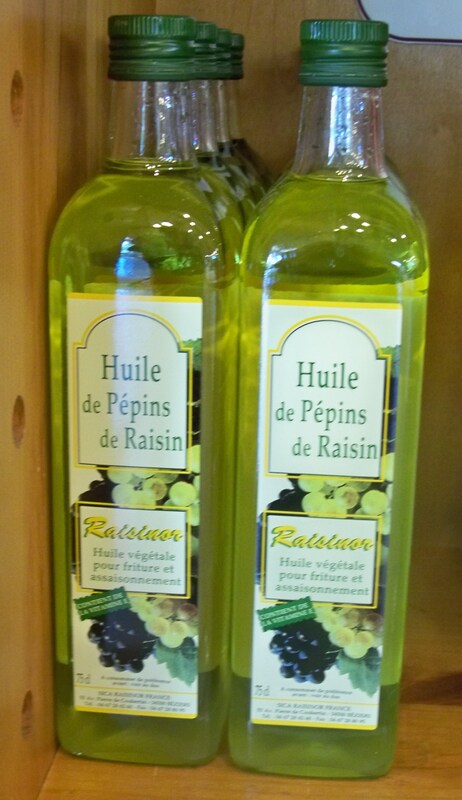 It is also popular as oil infusion base of rosemary, garlic and other herbs. For making Asian recipes where a lot of flavoring is required, it can be used. It contains Oligomeric proanthocyanidin complexes (OPCs), chemicals, which can have potential cures for fighting cancerous cells and enhancing the benefits derived from chemotherapy drugs, as proven by studies. European folk medicine used grapevine saps for treating eye problems. 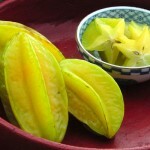 Raw fruits were used in traditional medicine to treat inflammation in the throats and sweet fruits were used for kidney, skin, cholera and other deadly diseases. It is one of the highly favored ingredients for making therapeutic products for skin which keeps the skin moist without making it oily. 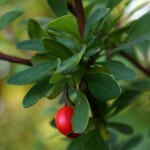 It is used in aromatherapy as carrier oil with other essential oils for different skin and hair treatments. 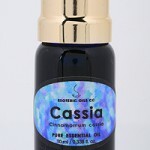 This oil can also be used for shaving and other skin care regimen. 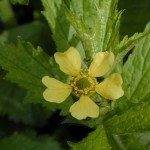 It is believed to be an effective sunscreen and scar remover in organic form. It can be treated as a substitute for diesel as it is a good lubricant. For healing acne, sun burns and stretch marks, it is a very good remedy. It is used in cosmetic formulations as it has been reported to be non-allergic as per tests conducted on sensitive people. It can also serve as a good eye makeup remover. For curing fatigued muscles and cellulites too it can be used. Lobster with sweet apple and pickled beetroot. Absence of sufficient evidence which vouches for its safety during pregnancy prohibits pregnant women from taking it. You can buy this oil from local drug stores as well as herbal food stores. 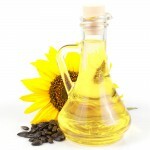 Look for organic oil made by cold pressed method as they are way healthier than the chemically pressed ones. The vegetable oil used for cooking can have an extended shelf life by refrigerating it. But by testing the aroma and taste, you can verify its freshness. Refrigeration might alter it a bit but room temperature brings it back to normal. As a carrier oil in aromatherapy, it stays fresh for 6 to 8 months which is much lesser than jojoba or coconut oils having a greater shelf life. 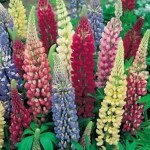 By keeping it away from direct sunlight and restricting fluctuating temperatures quite often can increase their life. In certain cases, a specific grape variety may cause allergy and so it can be avoided. Allergic reactions can be of varied types, ranging from headaches and itchiness to dizziness. Drug interactions might also occur, especially if you are taking blood thinners. High dosage of the oil can cause nausea and diarrhea as it is a laxative ingredient. 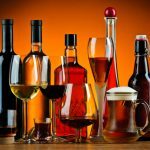 To avoid these side effects, it can be consumed or used after consulting a medical professional. According to Old Testament, Prophet Daniel ate a certain dish made of grape seed oil to remain in good health. Grape seed oil has enriching properties which benefit the body from inside. Its positive effects are visible from outside as the skin glows and you become immune to certain health hazards. Grape seed extract supplements can be integrated in your routine for a better life.